Double sided A1 poster display. Snapframe header for 594 x 176mm insert (white back panel included, suitable for vinyl application). 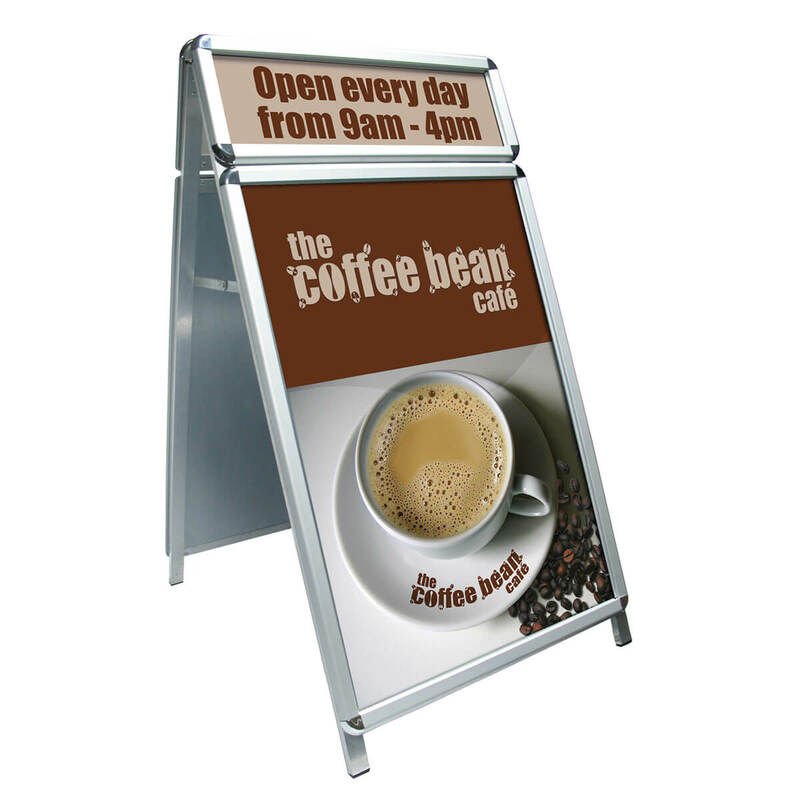 Front opening aluminium snapframes with rounded corners for safety (32mm profile, silver anodised finish). 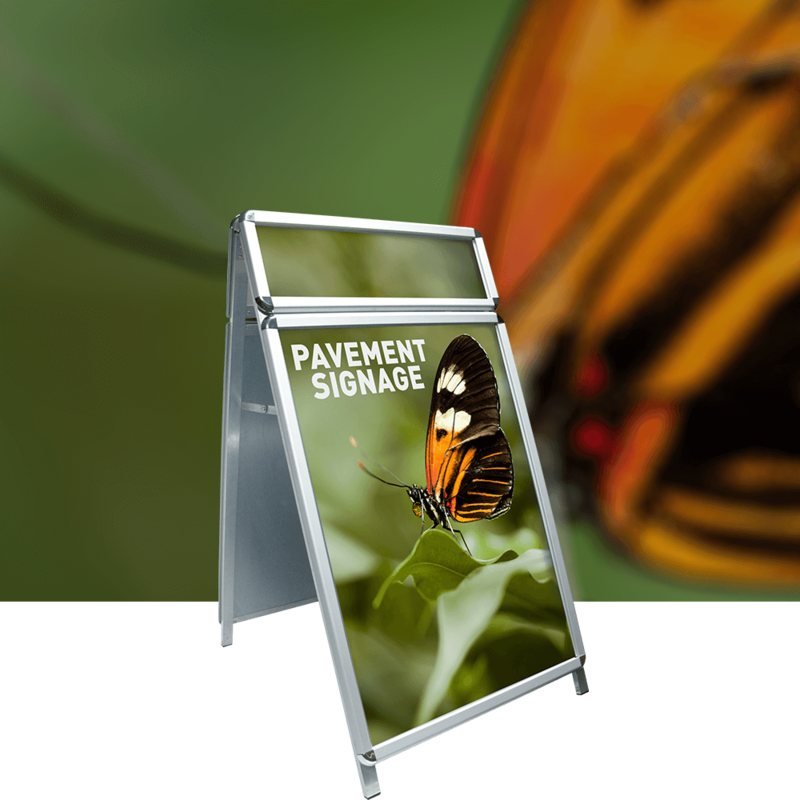 Anti-glare PVC poster covers with high UV resilience. Custom sizes and colours available made to order (minimum order quantity 50). 'Fold-flat' design – easy to move and store. Recommended for indoor or sheltered outdoor locations.